Irish Dolphins. Cetaceans: whales and dolphins of Ireland. 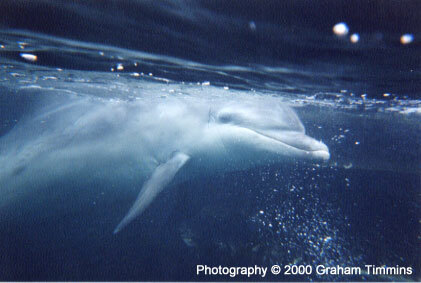 This young female dolphin first interacted with people in Doolin, Co. Clare in the summer of 2000. By spring 2001 she had moved up the coast to Derreen near Fanore, Co. Clare, where she was resident for nearly four years. There were no sightings of Dusty from mid-December 2004 to mid-February 2005, when she reappeared in the Green Island area of Co. Clare, north of Milltown Malbay. 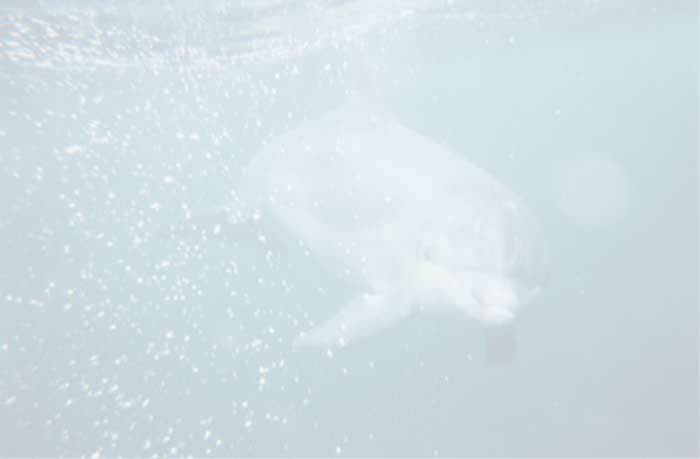 From March 2005 to November 2009 she was seen and swum with most often at White Strand near Spanish Point, but also visited several less accessible locations in the same area. From November 2009 she has again been largely resident at Derreen, though she seems to range more widely than in her first period there. Dusty is an extremely patient, playful and interactive dolphin who is known for sharing herself around all the people who come to swim, dive, surf and kayak with her.